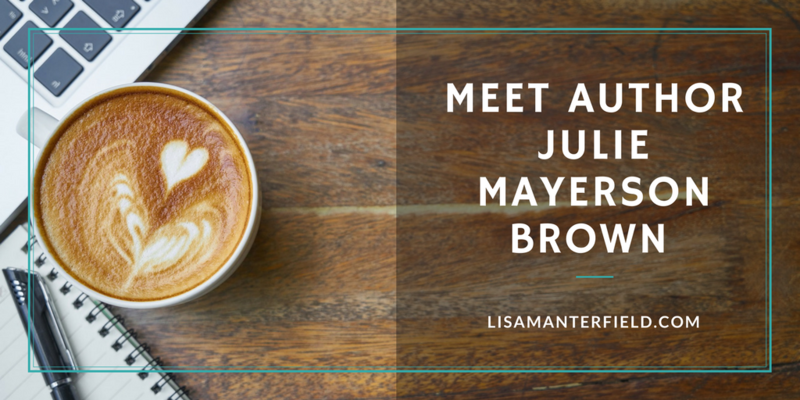 It takes a village to get a book out into the world and I am very glad to have Julie Mayerson Brown in my village. I first met Julie when my writers group read an early draft of her second novel. Julie handled the tough topic of sexual abuse with a sensitive touch, as she tackled family dynamics and the implications of the choices we make—themes I love to read and write about. Since then, I’ve got to know Julie on a personal level. (We both like to talk and eat, so we’re a great match.) So, when she asked me to review an advanced copy of her new novel Long Dance Home, I jumped at the chance. That book comes out today, so I talked to Julie about her inspiration, the circuitous route to publication, and a philanthropic project that is dear to her heart. What first inspired you to write Long Dance Home? I’ve always loved ballet, although I was NOT a good dancer. A few years ago, I read an article about a former ballerina, and my imagination went from there. Why did she quit? What did she do after that? How did quitting ballet affect her life? The story didn’t go anywhere, so I set it aside. Then, one day I pulled it from the bottom drawer (actually, a hidden file somewhere in my computer) and started again. But this time I made it a holiday story. Once I had Christmas and a small town and a loving, crazy family to work with, the story really came together for me. The story centers around a production of The Nutcracker. Why did you choose that ballet? It’s my favorite ballet. And the book takes place takes place during the holidays—small town productions of The Nutcracker are happening everywhere. It’s a Christmas tradition! In the story, CeCe has a lot of regrets. If you could go back and talk to your 20-something self, what’s one regret you’d warn yourself about? You recently created a wonderful philanthropic project called Write to Give. Can you tell us about it? I’m developing ways to use my writing as a way to give. The WTG mission is to “distribute books that comfort, uplift, or inspire people going through difficult times.” My first project is to donate copies of Long Dance Home to women battling breast cancer, a gift from one survivor to another, for no reason other than to connect and let them know I understand what they are going through. I provide books to non-profit organizations for them to sell, and they keep 100% of the proceeds. Authors love to hear from readers, and I’d love to hear from you! Best way to get in touch with me is through my website: juliemayersonbrown.com. Please follow my blog – you will not be inundated with email, I promise. 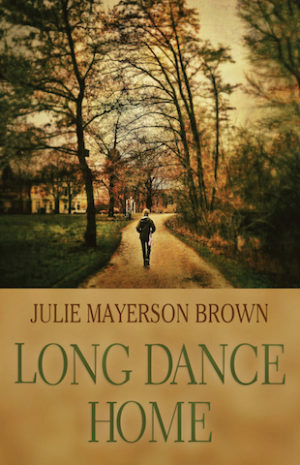 Most of all, please post a review of Long Dance Home on Amazon, Goodreads, Barnes and Noble, and anywhere else you connect with friends and readers. If you enjoy my book, and I truly hope you do, please tell your friends about it. Finally, THANK YOU! Readers are writers’ best friends! JULIE MAYERSON BROWN lives on the Palos Verdes Peninsula, a rural suburb of Los Angeles, with her husband, and a pack of three lovable boxers. 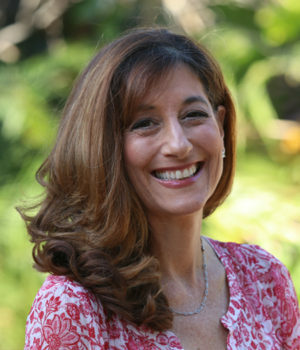 Her work has appeared in the Daily Breeze, Los Angeles Times, Los Angeles Jewish Journal, and Parenting Magazine. When not writing, Julie is cooking (homemade chicken soup is her boys’ favorite), gardening without much success, mentoring young writers, and of course – reading! 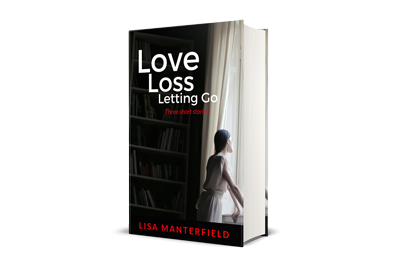 What is a steadfast perfectionist to do when her life spins out of control? Long Dance Home is out today!